Servosity, Disaster Recovery for Managed Service Providers (MSPs), today announced the launch of Servosity Hyper-V DR to it’s existing offerings of VMware DR, Physical DR, and it’s file backup products. Servosity Hyper-V DR is the easiest way for Managed Service Providers to protect clients’ Hyper-V environment On-premise, Off-site, and in Cloud. This new hybrid offering combines the best of agentless Hyper-V hypervisor-level protection and best of breed Granular Recovery of Files, Active Directory, SQL Databases, Exchange, Exchange Database Availability Group (DAG), Exchange item-level recovery, and more. Servosity Hyper-V DR is unique because it enables you to protect Hyper-V Clusters and Cluster Shared Volumes (CSV). It is the only Disaster Recovery offering that can protect the Hyper-V Hosts in addition to the VMs. Servosity Hyper-V DR is software only, no appliance or hardware required, and works with any storage for On-premise data protection. MSPs can now obtain near real time Recovery Point Objective (RPO) and Recovery Time Objective (RTO) with built-in Continuous data protection (CDP), delta-merging, and block-level delta technology. Servosity Hyper-V DR allows MSPs to select individual guests, disks, emails, or files to protect and recover. MSPs have the ability to retrieve the raw VHD, files within a VM, restore directly to the original Hyper-V production environment or an alternate host. Servosity Hyper-V DR gives the power and control of an unlimited retention policy with sophisticated settings for local and/or Cloud retention. Servosity Hyper-V DR is designed for MSPs with simple pricing without any per-socket or per-host fees. The pricing allows the MSP to cost-effectively scale up or down, whether their environment is 2 VMs on a single Hyper-V machine or a 2,000 VM Hyper-V Cluster. Availability: Servosity Hyper-V DR is available immediately for Managed Service Providers starting at less than $5 per month without any per-socket or per-host fees. Servosity is demonstrating Hyper-V DR live March 19th at 2:00PM EST. Attendees of this webinar will receive a limited time offer for double the Servosity Hyper-V DR protection for the same price. About Servosity: Servosity combines industry leading Support with Disaster Recovery for Virtual, Physical, and Cloud to be protected On-premise, Off-site, and the Cloud. Servosity’s suite of products offer Disaster Recovery for VMware, Hyper-V, Microsoft Windows, Linux, and Mac protection. In the event of a disaster, MSPs and VARs can launch business operations in minutes. Find out more at www.servosity.com. Servosity officially launched VMware DR this week! Servosity VMware Disaster Recovery is the easiest way for Managed Service Providers to protect clients’ VMware environment On-premise, Off-site, and in Cloud. This new offering combines the best of agentless VMware hypervisor-level protection and best of breed Granular Recovery of Files, Active Directory, SQL, Exchange and more. Servosity VMware DR is unique because it works with nearly all VMware products including ESXi, ESX, vCenter, Server and the free version of ESXi. Servosity VMware Disaster Recovery is software only, no appliance or hardware required, and works with any storage for On-premise data protection. MSPs can now obtain near real time Recovery Point Objective (RPO) and Recovery Time Objective (RTO) with Continuous data protection (CDP), Changed Block Tracking (CBT), Incremental delta-merging, and block-level delta technology. Servosity VMware DR allows MSPs to select individual guests, disks, or files to protect and recover. MSPs have the ability to retrieve the raw VMDK, files within a VM, restore directly to the original VMWare production environment or an alternate host. Servosity VMware DR gives the power and control of an unlimited retention policy with sophisticated settings for local and/or Cloud retention. - Fast backups with Changed Block Tracking (CBT), Incremental forever strategy including Incremental delta-merging, and block-level delta technology. - Continuous data protection (CDP) for near real-time Recovery Point Objective (RPO). - Ability to retrieve VMDK, files, or restore directly to VMWare or an alternate host. Servosity is demonstrating VMware DR live March 4th at 1:30PM EST. Attendees of this webinar will receive a limited time offer for double the Servosity VMware DR protection for the same price. Check out Servosity's webinar on how to build your own BDR Appliance! Don't hesitate to reach out to our Sales Team for more information! Servosity introduces the World's first UnCrashable™ Disaster Recovery powered by OpenStack. Servosity UnCrashable™ Disaster Recovery allows Managed Services Providers (MSPs) to backup and launch an entire enterprise network or data center and server infrastructure instantly. Servosity, the leading software provider for Backup and Disaster Recovery, today officially launched its UnCrashable™ Disaster Recovery Cloud. UnCrashable™ Disaster Recovery (UnCrashable™ DR) is the first Disaster Recovery as a Service(DRaaS) where servers are now UnCrashable™. Servosity also announces it is now a sponsor of the OpenStack Foundation and will contribute its knowledge of disaster recovery cloud with the OpenStack community. OpenStack is an open source cloud computing platform that allows the management of large pools of compute, storage, and networking resources in cloud environments. Servosity UnCrashable™ Disaster Recovery allows Managed Service Providers (MSPs) to backup and launch an entire enterprise network or data center and server infrastructure instantly. You can launch site-to-site and site-to-multi-site VPNs, drag and drop instant network creation in your browser, virtual routers, Firewall as a Service (FWaaS), and VPN as a Service (VPNaaS). The launch of the most sophisticated Disaster Recovery options available anywhere includes fully isolated single-tenant networks giving complete control over network topology, IP addressing, network security, and architecture. “Servosity’s UnCrashable™ DR Cloud is the first OpenStack cloud purpose-built solely for Disaster Recovery. Our Disaster Recovery as a Service (DRaaS) offering leverages the latest OpenStack release, Havana. Using the OpenStack Havana release gives our clients capabilities and features that are not available anywhere else.” said Damien Stevens, Founder & CEO, Servosity. What makes Servosity UnCrashable™ DR different? Not only will you be able to use Servosity’s state of the art software to protect physical and virtual machines, but also will allow full replication of infrastructure and application to provide full business continuity. Servosity UnCrashable™ DR object storage gives speed, scale, and cost benefits to MSPs and their customers. In the event of a disaster, UnCrashable™ will give the confidence to businesses that no matter the disaster, servers will be back up and running with the click of a button. Servosity UnCrashable™ DR is not only operationally effective, but includes great cost benefits due to less capital asset costs and includes usage-based billing when a disaster strikes. Register to learn more at our official launch Webinar at http://www.servosity.com/webinars or at http://www.UnCrashable.com. This webinar will have limited spots so be sure to sign up. Attendees of this webinar will receive special incentives. About Servosity: Servosity's Backup and UnCrashable™ Disaster Recovery solutions allow its partner network of Managed Service Providers (MSPs) and Value Added Resellers (VARs) to manage and monitor backup and disaster recovery operations 24/7/365. In the event of a disaster, MSPs and VARs can launch business operations in minutes. Greenville, SC February 10, 2014 Servosity, the leading software provider for Backup and Disaster Recovery as a Service (DRaaS), announces the most sophisticated Disaster Recovery Networking options available anywhere. Servosity’s Software Defined Networking (SDN) includes fully isolated single-tenant networks, which gives complete control over network topology, IP addressing, network security and architecture. Servosity's robust Virtual Networking is easily controlled within the intuitive Cloud Control Panel. 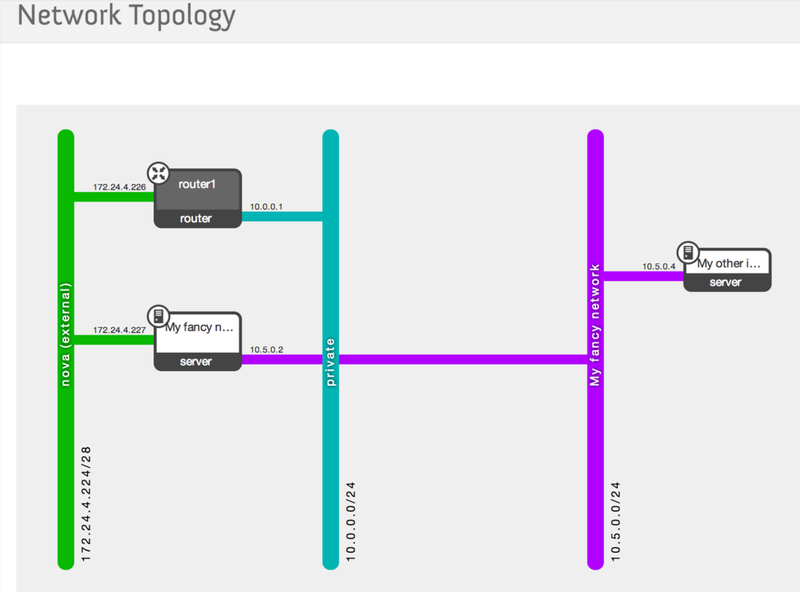 Instantly build networks from any browser with a visual display of network topology. Need to create complex network topologies to securely route traffic between the Servosity Disaster Recovery Cloud and your office or data centers or both? Need multiple public IP addresses with full control over traffic ingress and egress? Servosity Virtual Networking is included for free with Servosity Disaster Recovery as a Service (DRaaS). To learn more about Servosity Virtual Networking, join us on February 11th for a live webinar. Servosity’s Backup and Disaster Recovery solutions allow its partner network of Managed Service Providers (MSPs) and Value Added Resellers (VARs) to manage and monitor backup and disaster recovery operations 24/7/365. In the event of a disaster, MSPs and VARs can launch business operations in minutes. As many of us in different areas of the US are experiencing nasty winter weather, this not only effects us individually but many businesses as well. A disaster can be a number of different things during this time of year – power outage, burst pipes, icy travels, etc. Recently Winter Storm Leon hit the southern areas from Texas all the way to Carolinas. Some areas took precaution to prepare for this storm, but others...not so much. In Georgia, advanced warnings were given but immediate action wasn't taken to prepare for the dangers this storm would bring. Atlanta was left in a Gridlock, children were stranded at their schools with their teachers for 2-3 days because parents were unable to reach them. While this is a physical weather disaster, the same speaks true for your clients data. A law office preparing for a huge trial looses all the case information, an accounting firm looses hundreds of tax return information, or a doctor office loses all their patients files all due to a server or network crash. During these critical times you want to have reliable security and recovery at the touch of button. Servosity covers these areas and gives you the assurance that your clients data is safely backed up. Not only will your data be safe and secure, but in the event of a disaster, you will be able to pull your network from any remote device and be back up in business within minutes. What steps are you taking to prepare for a disaster?? ?